SM Cinema shakes away the Monday blues and Tuesday terrors by treating patrons to 30% discounts on movies! 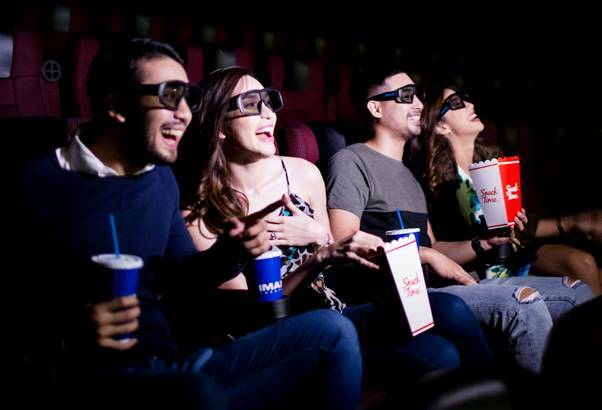 You can now watch your most-awaited films at IMAX, Director’s Club Cinema, and SM Cinema at a fraction of the cost on their first screening every Monday and Tuesday. Creating fun and memorable experiences, SM Cinema lets you enjoy movies for as low as Php133 in any SM Cinema branch nationwide until December 19, 2017. So go ahead, catch the latest movies at IMAX, Director’s Club Cinema, and SM Cinema at 30% off every Mondays and Tuesdays! Log on to www.smcinema.com to buy your ticket, or visit /SMCinema on facebook and @SM_Cinema on Instagram for more details.